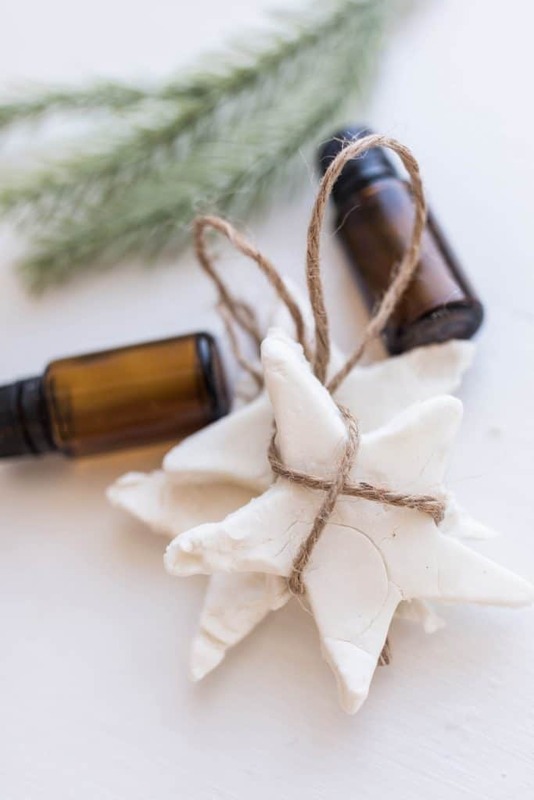 DIY Essential Oil Diffuser Ornaments are simple to make, offer some healthy aromatic benefits and make your home smell great for the holidays. 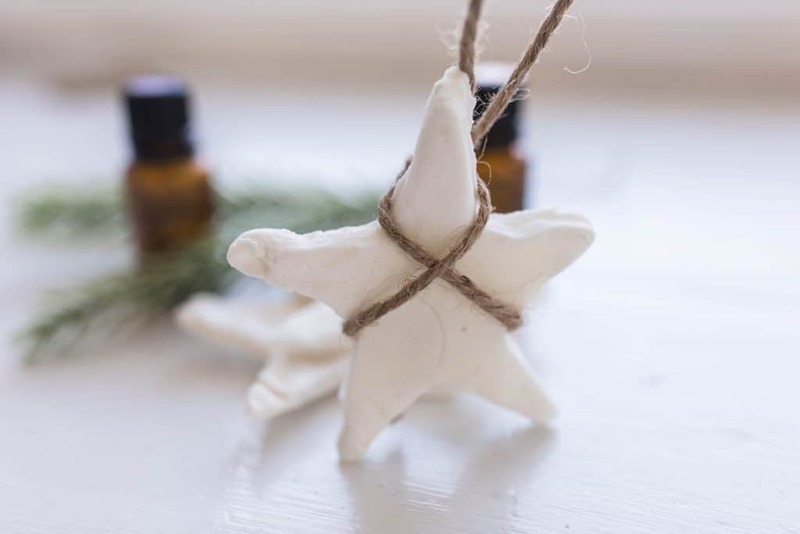 With just a few basic ingredients, and essential oils, you can deck the halls this year with ornaments that are healthy and handmade. 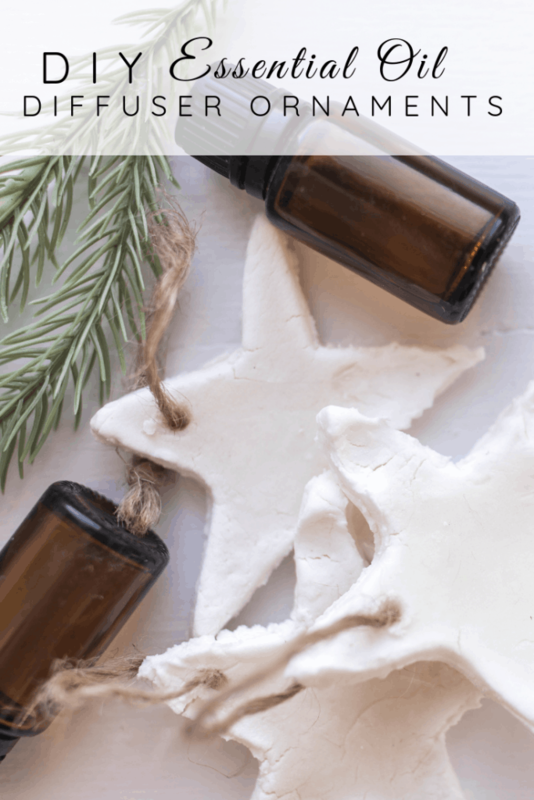 Sign up for our “Essential Oils for Winter” class HERE. Heat the water, baking soda and corn starch in a small pot over medium heat. 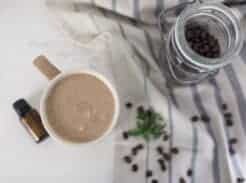 Keep stirring until it forms into a ball. Use a cookie cutter to cut the dough into shapes. Bake at 175 degrees for about an hour. Option 1: Cut a small hole in the top with a screw, or pencil, and put a little string through the hole. 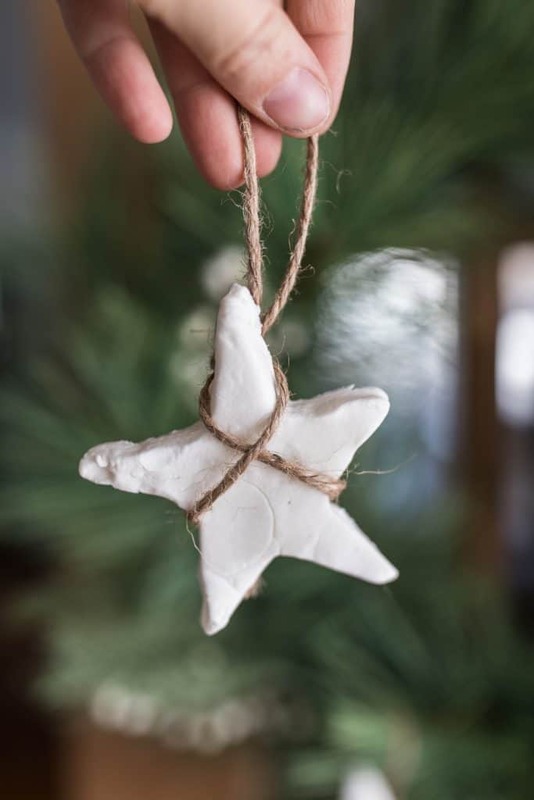 Option 2: If you are cutting the ornaments out in a star shape, you can wrap string around them in an X shape. Secure in the back and then tie a small loop at the top, to hang on the tree. 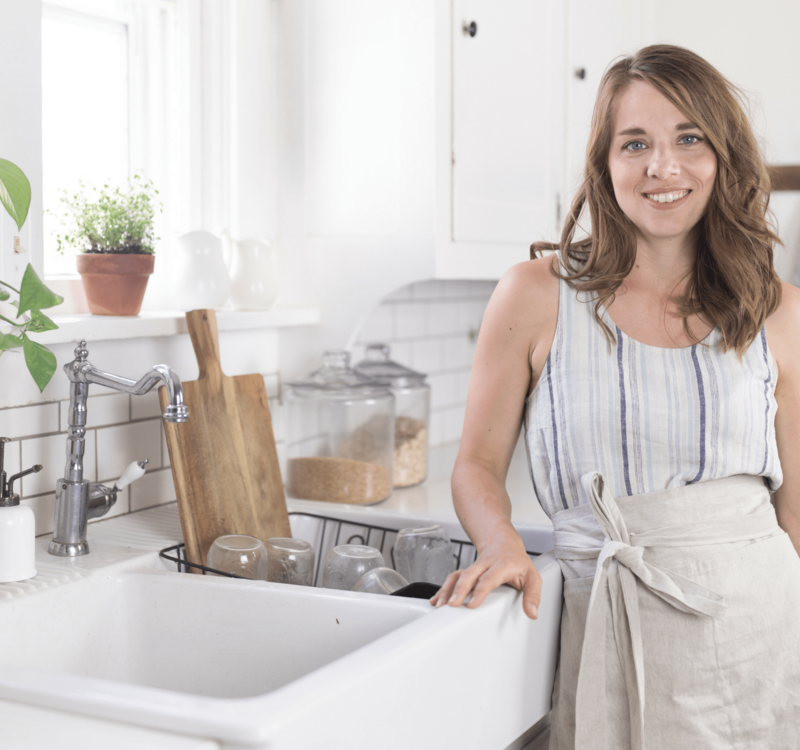 If you are just starting with essential oils, and do not have all of these in your collection, don’t worry! 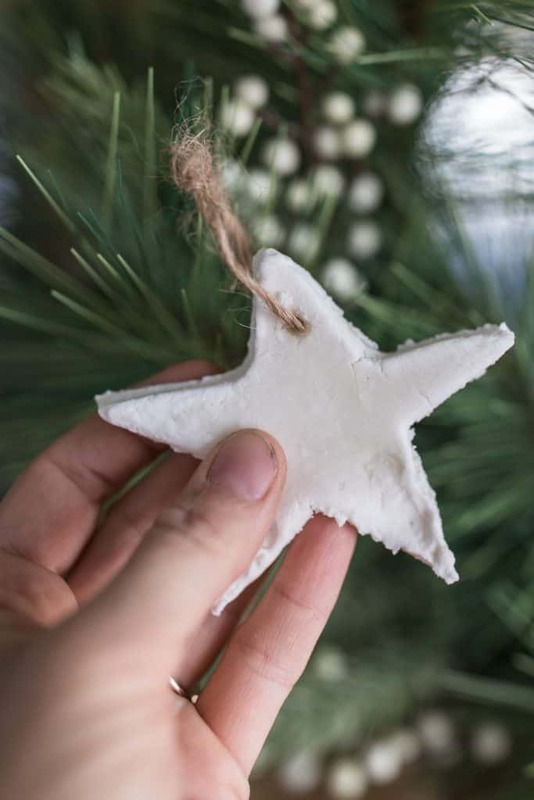 You can still make these easy diffuser ornaments. 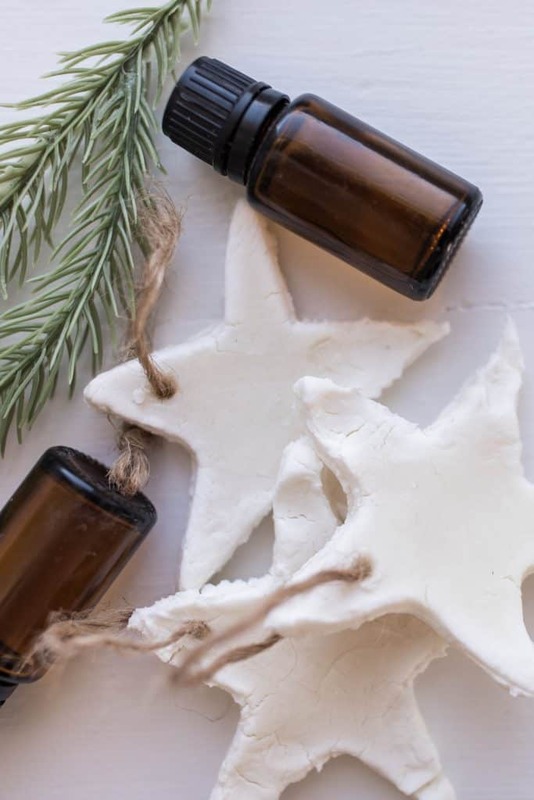 Any of the following oils will get you in the Christmas Spirit. 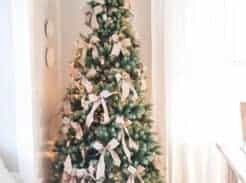 For Christmastime, use oils from evergreen trees like, fir, spruce or cypress. Citrus oils, like orange, and minty oils, like peppermint and spearmint are also great for the holiday season. 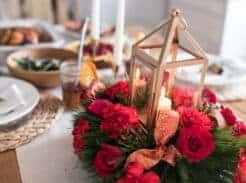 Winter baking spices, like cinnamon, clove, nutmeg and ginger would also smell festive together as a room spray during the Christmas season.